Picture yourself on the team that provides the best medical transportation service in the Orange County and Los Angeles areas! Our reputation for providing high quality services with integrity has earned us the trust of local communities, healthcare organizations and healthcare providers. If you're ready for an opportunity with a dynamic organization in an environment that fosters development and advancement, you're ready for Care Ambulance Service, Inc. Care Ambulance Service is an organization that embraces differences and celebrates diversity. Each day, our people make a difference in someone’s life. We are passionate about making a positive impact on the communities and healthcare facilities we serve. Encourage our employees to think creatively, exceed customer expectations, and deliver safe, outstanding service. Regardless of how an individual serves, everyone at Care Ambulance Service is dedicated to improving the experiences of each patient. If that sounds like the kind of environment that you'd thrive in, please consider a career with Care Ambulance Service today. 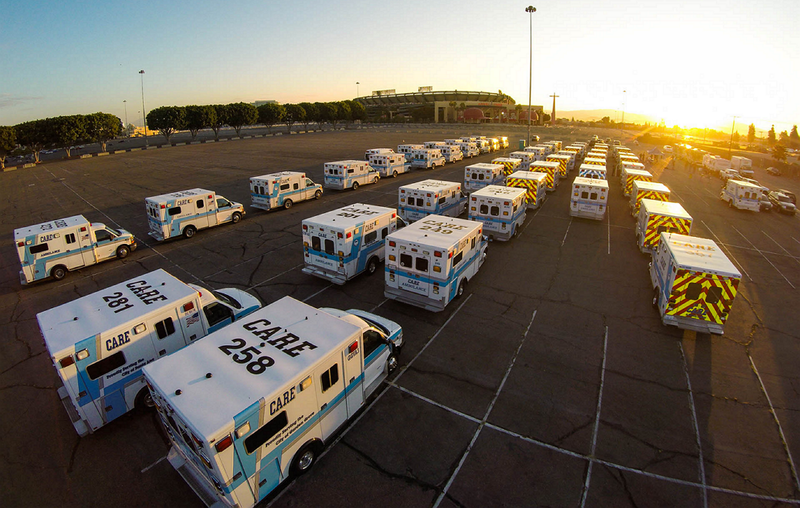 Would you like to be contacted regarding future field opportunities (EMT, Paramedic, RN)? Fill out our submission of interest form to be notified when one becomes available. If you are an individual with disabilities who needs accommodation or you are having difficulty using our website to apply for employment, please contact the HR representative at Care Ambulance of California at 714-288-3800.